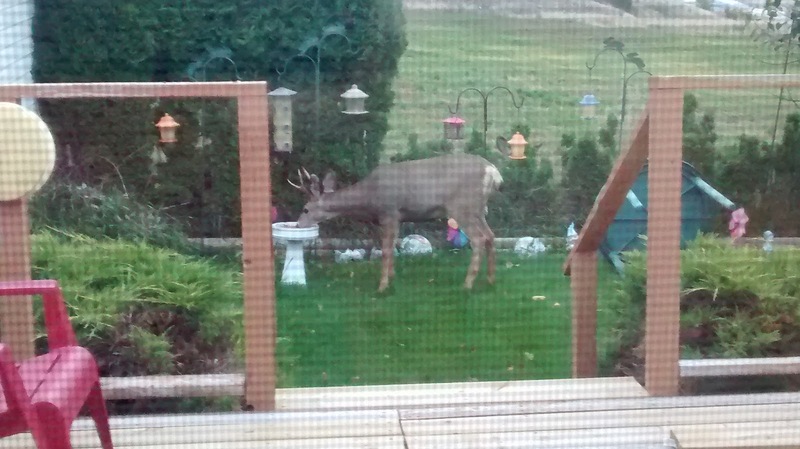 This was our company for Thanksgiving dinner on Monday evening. The Everett Silvertips made their annual stop in Quesnel, B.C., on Monday, as they rode the bus to Prince George for a Tuesday/Wednesday doubleheader with the Cougars.Why Quesnel? Well, it has a rink in which the Silvertips are able to skate. More importantly, though, Silvertips assistant coach Mitch Love is one of Quesnel’s hometown heroes.While it’s too early — way too early — to pin the ‘IMPORTANT’ label on these two games, they should be viewed with a great deal of interest.The Cougars, after all, go in with an 8-0-0 record — they’ve won four on the road and four at home — and were No. 1 in the CHL rankings when they were released last week.In eight games, the Cougars have scored 34 goals and surrendered 16.Everett, meanwhile, is 4-1-1 and has allowed only 13 goals in its six games. 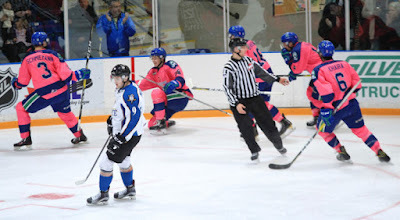 It has scored 19 times.Interestingly, the paths of the two head coaches — Everett’s Kevin Constantine and Prince George’s Richard Matvichuk — haven’t crossed prior to tonight.While Constantine was skating in Quesnel on Monday, Matvichuk was spending Thanksgiving Day in Canada for the first time since 2008. That was the first Thanksgiving Day following his retirement as a player and he hadn’t yet gotten into coaching.BTW, Hartley Miller, the sports director at Prince George radio station 94.3 The Goat, says the Cougars’ club record for longest winning streak is 10 games.——F Adam Brooks, the reigning WHL scoring champion, is on his way back to the Regina Pats. Brooks, a 20-year-old Winnipegger, won the WHL scoring title last season, with 120 points, including 38 goals, in 72 games. He also led the league in assists (82). He was selected by the Toronto Maple Leafs in the fourth round of the NHL’s 2016 draft. He went to camp with the Maple Leafs and recently had been moved to the camp of their AHL affiliate, the Toronto Marlies. 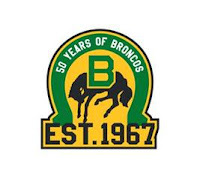 The Maple Leafs announced Monday that he was being returned to Regina.Brooks was a second-round pick by the Pats’ previous regime under GM Brent Parker in the 2011 bantam draft. 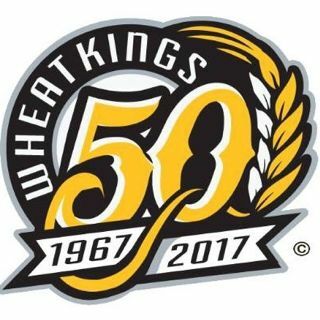 Brooks is going into his fifth WHL season, all with Regina. He has 205 points, 76 of them goals, in 251 regular-season games.Brooks’ return will leave the Pats with three 20-year-olds, which is the CHL-mandated maximum. The others are F Dawson Leedahl, an off-season acquisition from the Everett Silvertips, and D Chase Harrison.Brooks is expected to be in the Pats’ lineup on Wednesday when they play host to the Portland Winterhawks.Meanwhile, the Pats have dropped D Owen Williams, 16, from their roster. He was a ninth-round selection in the 2015 bantam draft. From Delta, B.C., he is expected to play for the Greater Vancouver Canadians of the B.C. Major Midget League. Williams was pointless in one game with the Pats.—— The New York Rangers, presumably wanting F Ryan Gropp to get more playing time in more situations than he would in the AHL or ECHL, returned the veteran 20-year-old to the Seattle Thunderbirds on Monday. Portland at Brandon, 7 p.m.Vancouver at Edmonton, 7 p.m.Victoria at Medicine Hat, 7 p.m.Everett at Prince George, 7 p.m.Spokane vs. Seattle, at Kent, Wash., 7:05 p.m.